While button mashers across the globe are counting down the seconds until “EA Sports MMA” hits the shelves on October 19th, the gaming giant has released a fancy trailer featuring Linkin Park to hold players over until the video game is officially launched. EA’s highly anticipated debut into the mixed martial arts market couldn’t have come at a more perfect time. Not only is the Holiday Season nearly upon us, but rival THQ has tanked with the follow-up to their “UFC Undisputed” franchise. 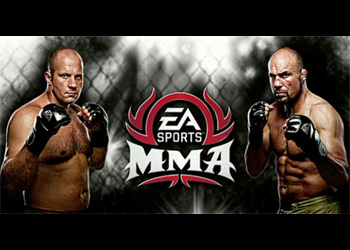 “EA Sports MMA” is the only video game that allows you to travel the globe to experience different fighting environments, rule changes and training facilities. Furthermore, the “Fight Now” experience allows fanatics to step into the Strikeforce cage inside the HP Pavilion and test their mettle across four different skill levels. Matches in the video game are officiated by “Big” John McCarthy, with fighter introductions courtesy of Jimmy Lennon Jr. Although North Americans can get their paws on the game on the 19th, everyone else has to wait until October 22nd. However, the demo is currently available for download on Xbox 360 and PlayStation3.